The only thing worse than delivering your project late or over budget is being blindsided by it. It makes you look bad to your organization and to your customers. On your project, you need to be able to predict disruptions, assess risks and gain visibility where it’s needed the most. When it comes to Project Risk Management, you need more than just a spreadsheet. An Enterprise Risk Management solution such as Active Risk Manager (ARM) helps eliminate your major obstacles. Program management often gets blindsided because the organization lacks consistent processes, too many manual reports, and limited, unreliable data. With a tool like ARM, project professionals can anticipate risk and better manage contingencies on changes – protecting your project’s profitability. 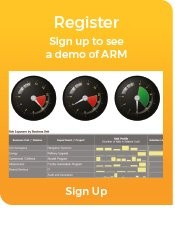 Learn how to make predictable project outcomes a reality with ARM. Why automate your risk management process? Learn about the benefits. Leighton Contractors explains how they met the challenges of engineering project management with Active Risk.